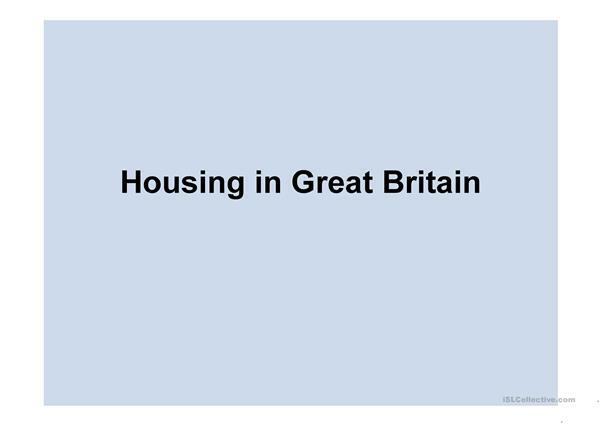 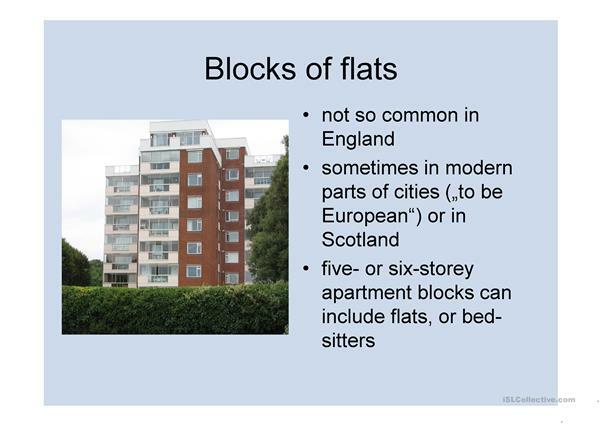 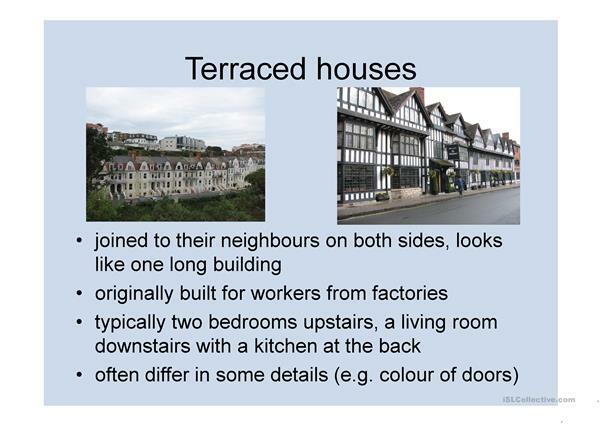 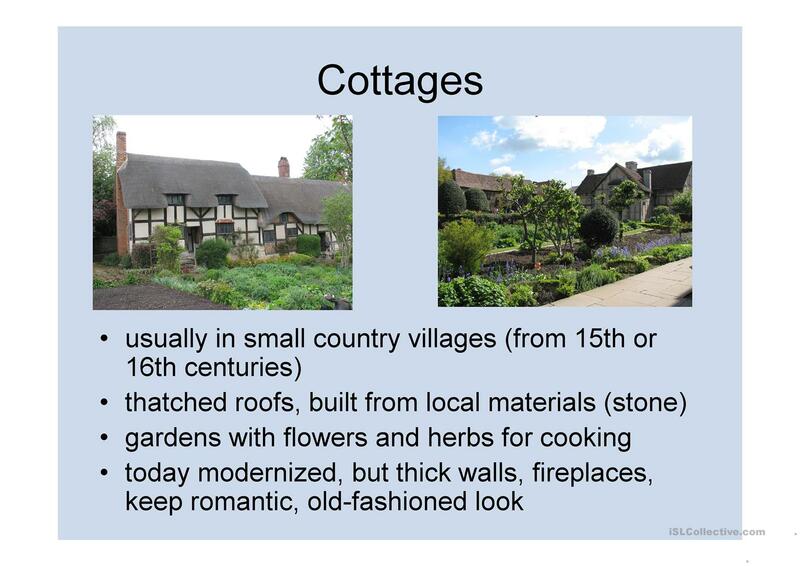 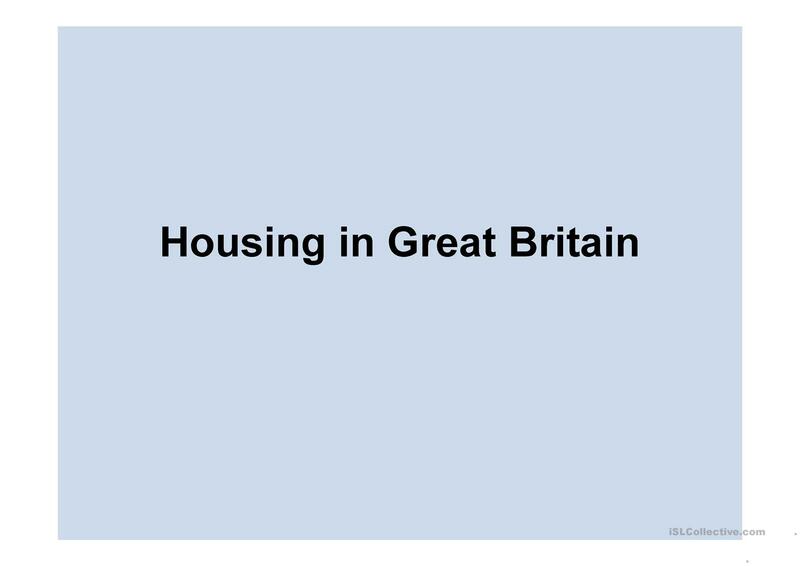 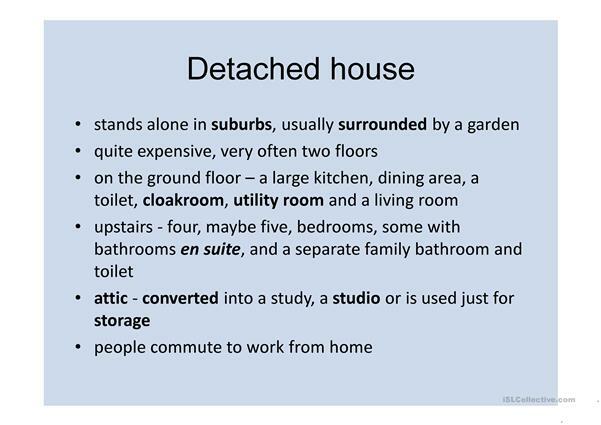 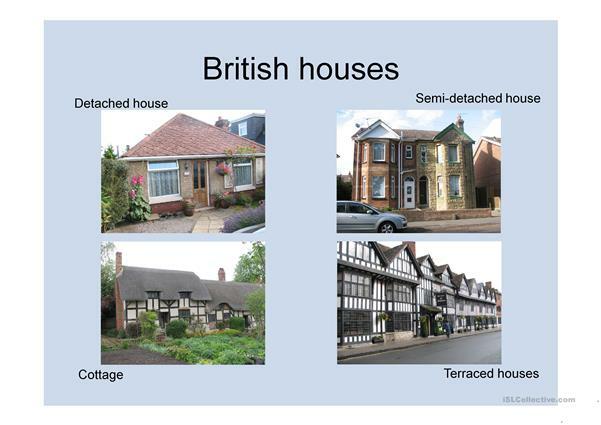 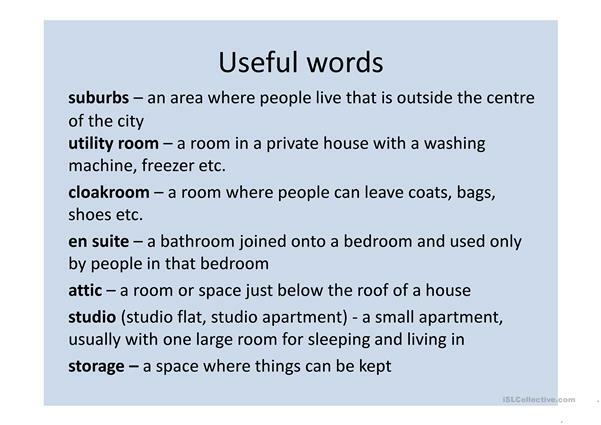 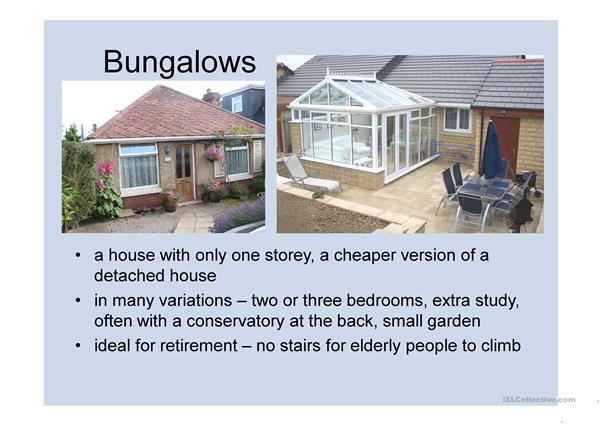 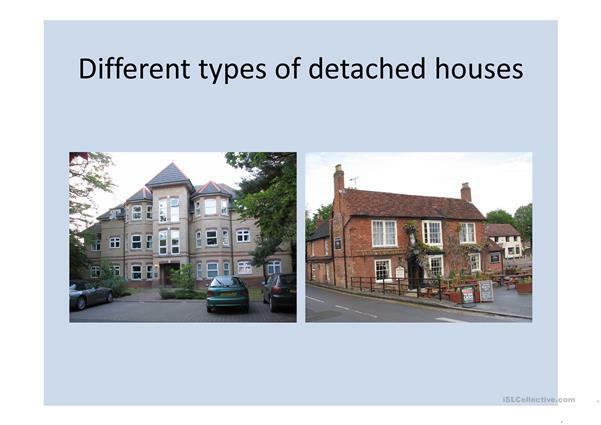 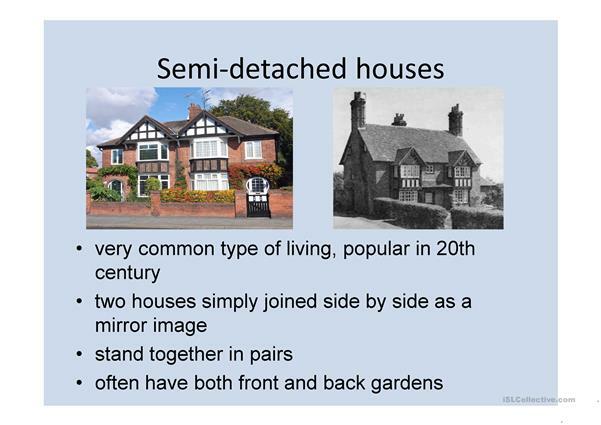 This ppt presentation helps students learn about different types of houses in GB, practice vocabulary connected with this topic. 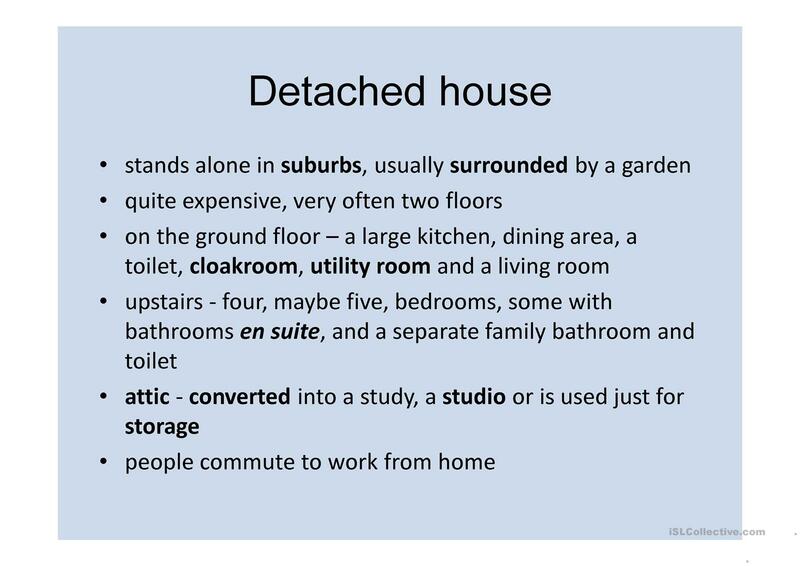 This downloadable printable is recommended for business/professional students, high school students and elementary school students at Pre-intermediate (A2) and Intermediate (B1) level. 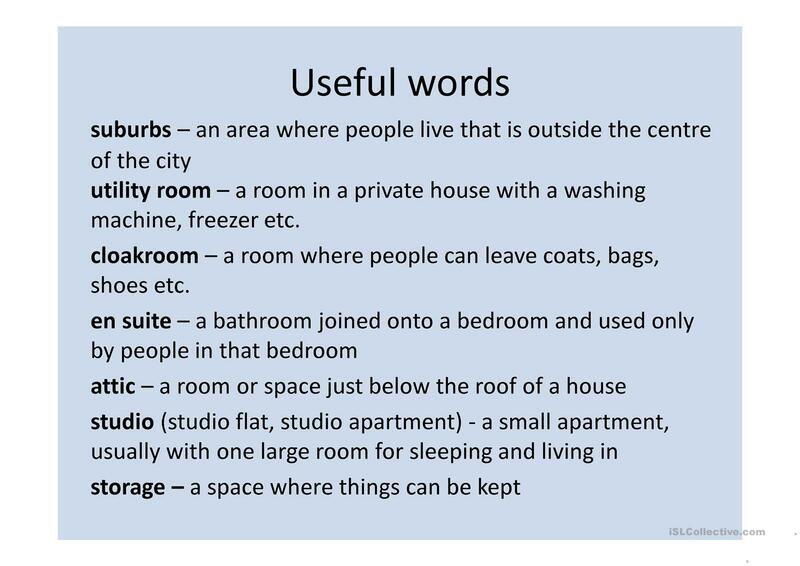 It is useful for honing your learners' Speaking and Reading skills. It focuses on the vocabulary topic of United Kingdom. gwendoline134 is from/lives in Czech Republic and has been a member of iSLCollective since 2012-07-25 18:50:41. gwendoline134 last logged in on 2019-03-03 21:12:36, and has shared 6 resources on iSLCollective so far.